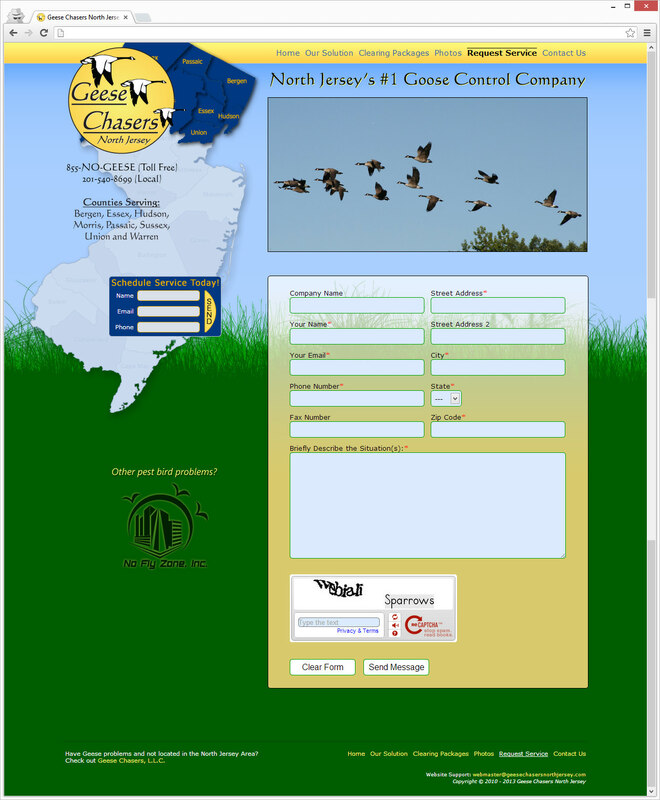 A clean and simple website for a humane geese clearing company. 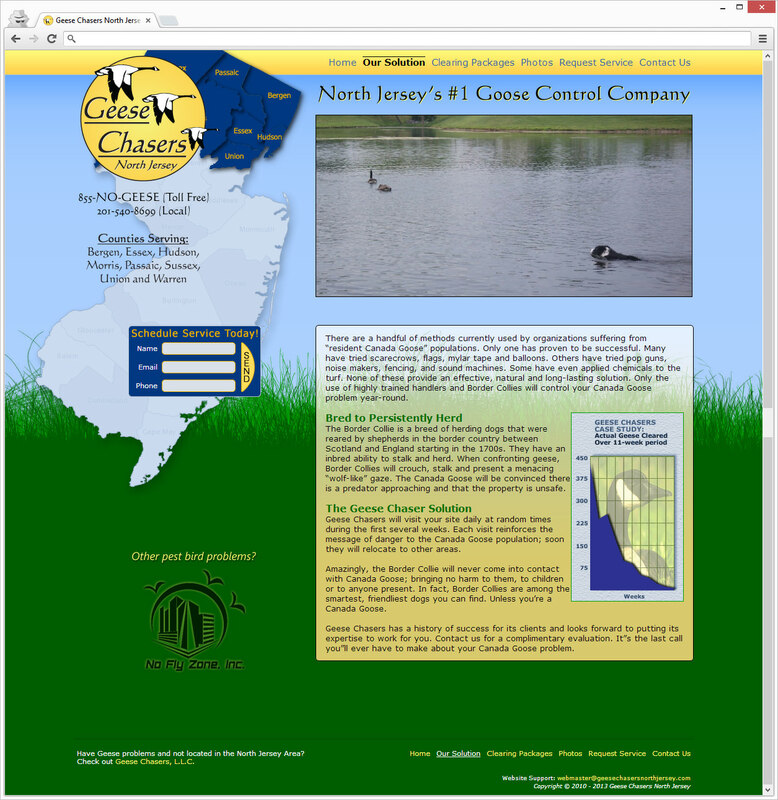 In 2010, I was approached to do the website for the newly-founded Geese Chasers North Jersey, which was a division of Geese Chasers, LLC. 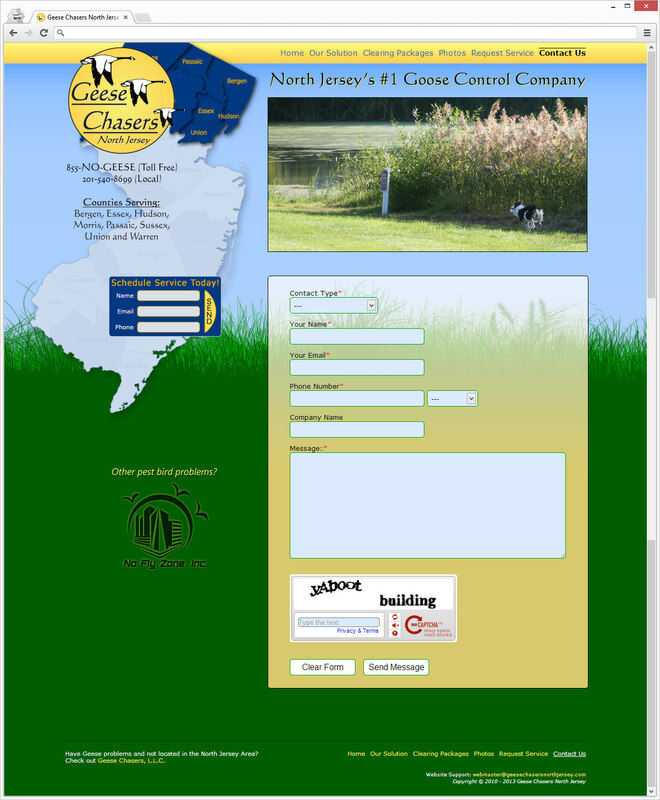 While inquiring about the company and finding out the humane services they provide, I instantly knew where I wanted the site to go - which was, simply, what you see below. 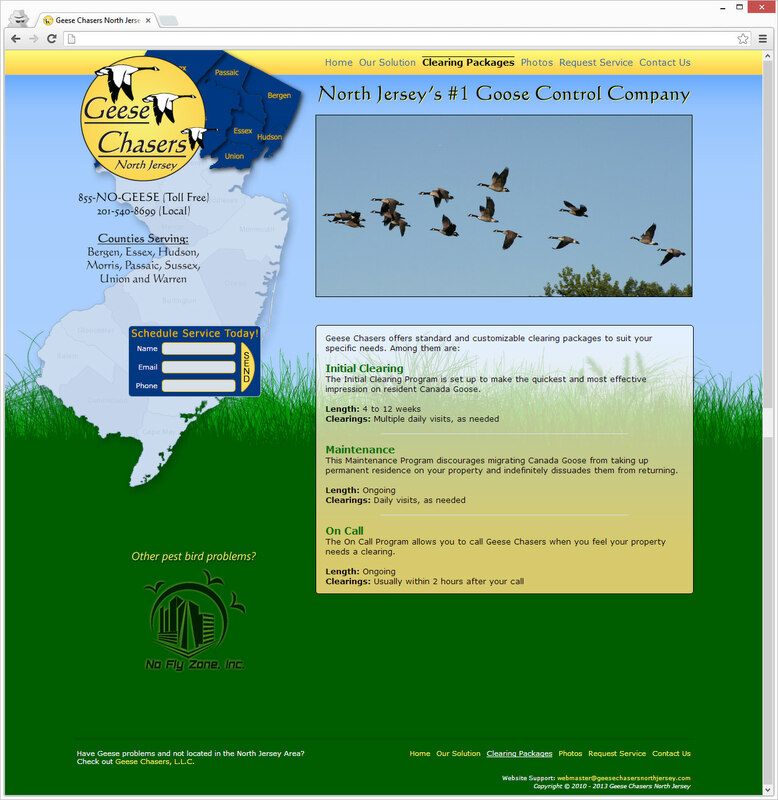 Clean and simple with a bright and friendly Geese Chasers-inspired color scheme. 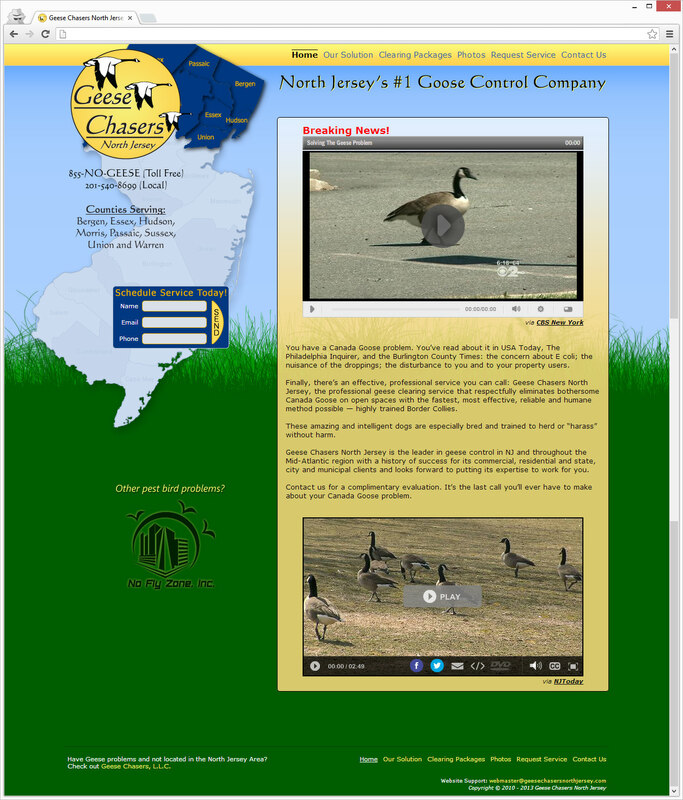 Simple front page that brings you GCNJ-related video along with what they are about. 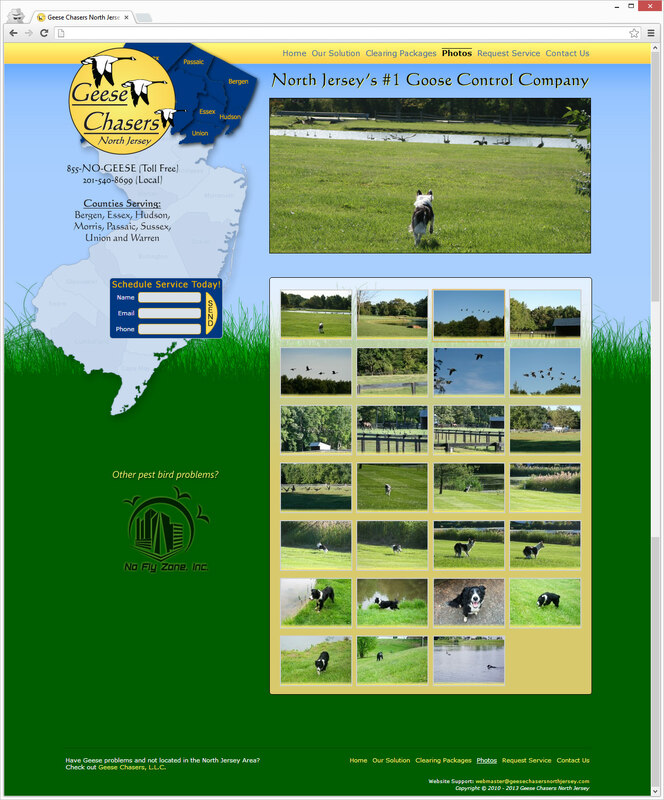 On every subpage, there is a photo slideshow that highlights what the company's main tool - Border Collies - do to help remediate geese problems. 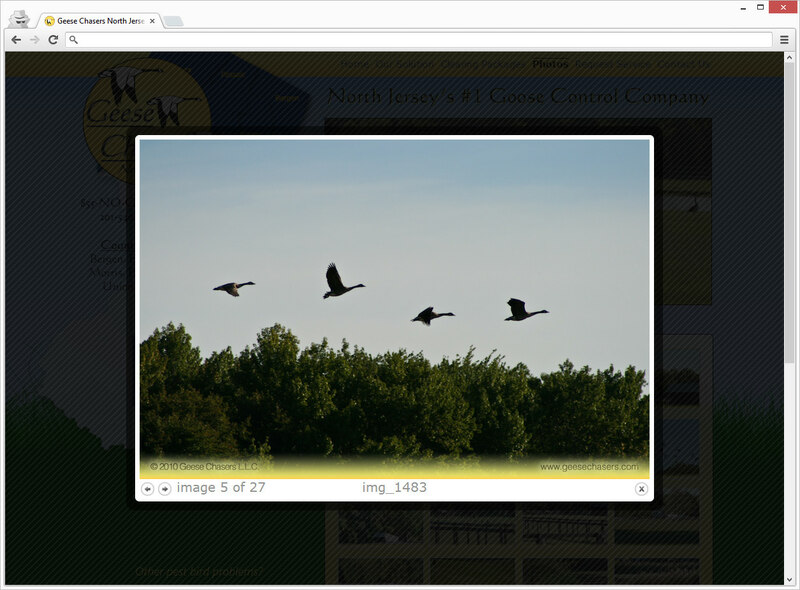 A simple photo gallery that uses a Lightbox script to display the images without leaving the page (below). Simple contact forms that use ReCaptcha technology to fight spam, while required fields help GCNJ know exactly what they need to know in order to get in touch with potential clients more effectively.